The village of Buffon is situated on the Yonne side of the canal, downstream and to the north of Montbard, close to the locks 68Y and 69Y. The canal is very agreeable to cruise in this section with a mixture of wide canal stretches and impressive stone embankments. 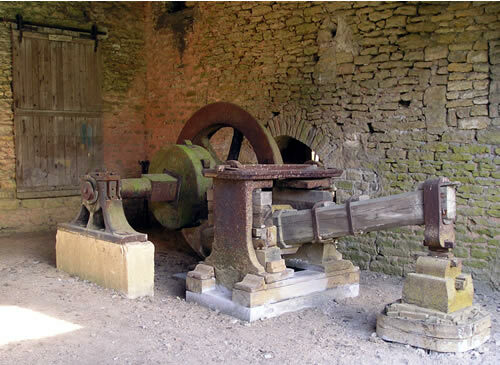 Take the time to visit the very old “Forge” constructed by French naturalist Georges-Louis Leclerc, Comte de Buffon. You can easily moor close to the entrance and enjoy a fascinating visit of the historical site. In the village along side the road there is a cafe restaurant which is worthy stop for dinner or lunch. 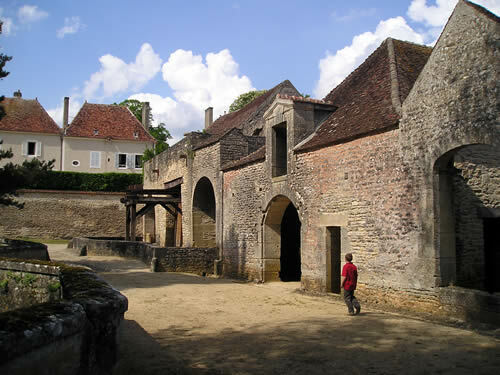 “Les Forges de Buffon” is a fascinating place to visit, located on the Yonne side of the canal a couple of kilometres from the town of Montbard. The monument has been restored with so much effort and courage by Mrs Taylor Whitehead over the last couple of decades. Now open to the public and offering guided tours, you can discover the personality of Buffon and some of his discoveries. Georges Louis Leclerc Buffon, born a few miles away in the town of Montbard (1707 to 1788), was an expert naturalist and appointed to the King of France. Buffon traveled extensively studying minerals, birds and wildlife. He published his first volume of the Histoire Naturelle in 1749. In total he wrote 44 volumes and is renowned as the father of Natural History, laying the foundations for the study of Evolution. The Forge was built on the banks of the river Armançon in 1768. The water was damned and controlled to power the water-mills which in turn powered blast furnace. The establishment was years ahead of its time was an ingredient marking the beginnings of the industrial revolution for France. After serious flooding, the forge was converted into a cement factory and then ceased activity. 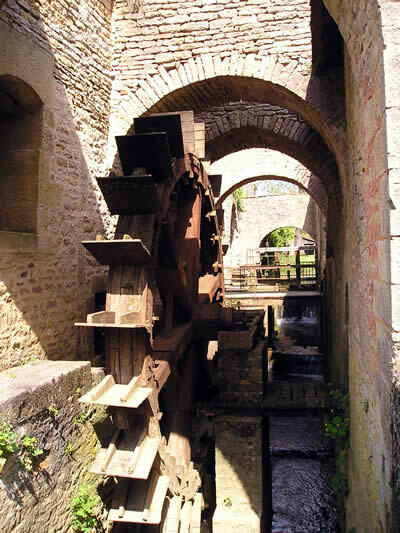 The watermill was used to power the blower which pumped air into he furnace. The huge hammer is powered by a watermill.